Follow this procedure to configure the Azure portion of the Active Directory Single Sign-On instructions. For instructions on how to configure the CloudCheckr portion for Azure Active Directory, review the Microsoft Azure Configuration – Active Directory/O365 Accounts topic. 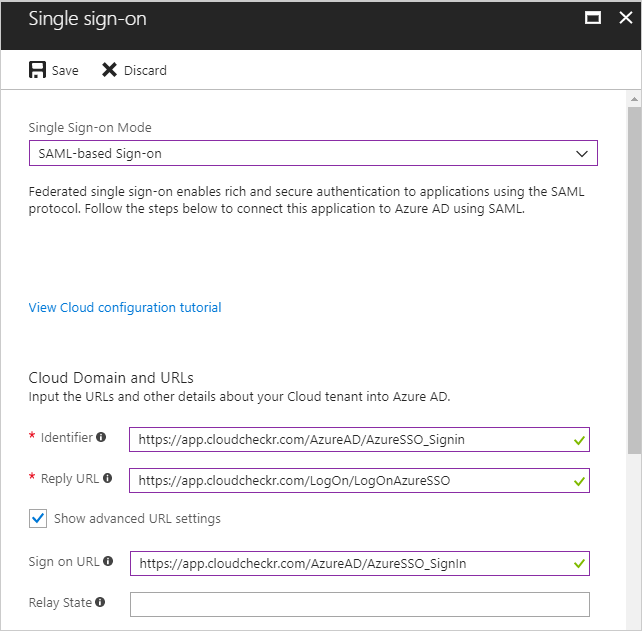 Azure Single Sign-On will not work with the credentials of an existing CloudCheckr user. As part of the initial SSO sign-in procedure, Azure Active Directory needs to create a user in CloudCheckr. If you use an existing user from a CloudCheckr account that was not created in SSO, you will get an error message. Access CloudCheckr via SSO using the CloudCheckr application on https://myapps.microsoft.com to recreate the CloudCheckr user account. When these steps are complete, you will no longer be able to access CloudCheckr directly from the CloudCheckr login page and must access CloudCheckr via Azure Active Directory SSO. 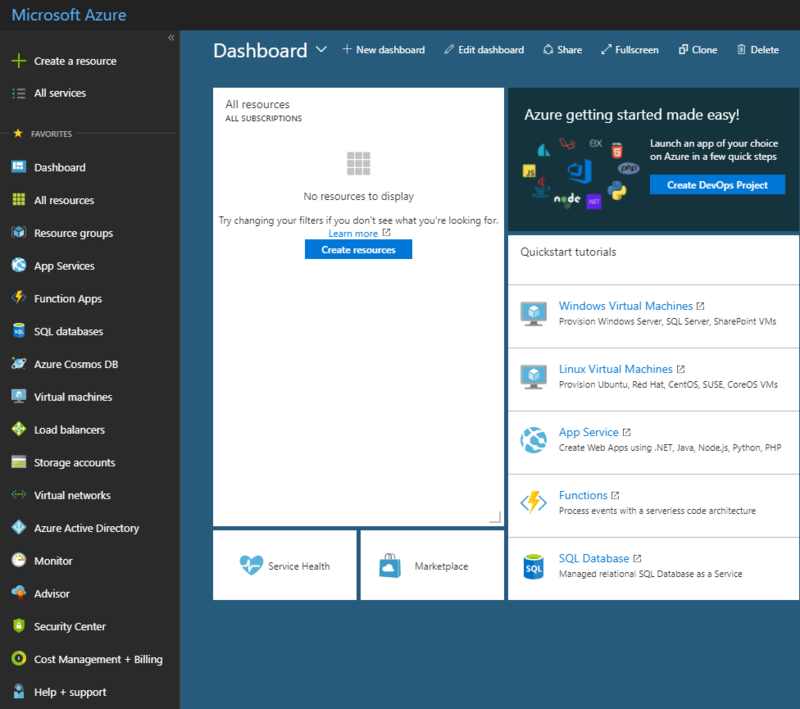 The Microsoft Azure Dashboard opens. The Azure Active Directory blade opens. In the Manage Section, click Enterprise applications. The Enterprise applications blade opens. The Add an application blade opens. The Add your own application blade opens. From the bottom of the page, click Add. The CloudCheckr - Quick start screen opens. Select Assign a user for testing (required). The Users and Groups blade opens. The Add Assignment blade opens. A list of users displays. Select a user from the list and click Select. In the Add Assignment blade, click Assign. Close any open blades and return to the CloudCheckr - Quick start screen. 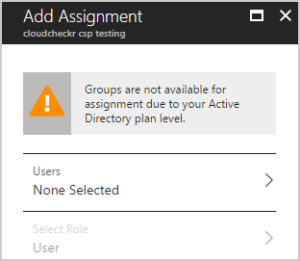 Select Create your test user in CloudCheckr (required). Verify that the provisioning mode is set to Manual. Click Save and close the blade to return to the CloudCheckr - Quick start screen. Click Configure single sign-on (required). From the Single Sign-on Mode drop-down menu, select SAML-based Sign-on. Select the Show advanced URL settings check box. Once the Enterprise application setup is complete, you can log into https://myapps.microsoft.com and select CloudCheckr from the list of applications.